If you?ve decided on the convenience and lightweight features of stand up paddle board, you?ll need to know the right way to inflate them. 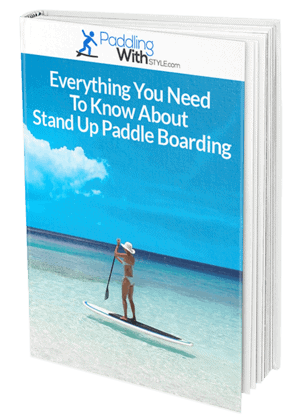 These unique devices are popular due to their ease of use, so you should have no problems at all in following these simple stand up paddle board instructions to be on your way. 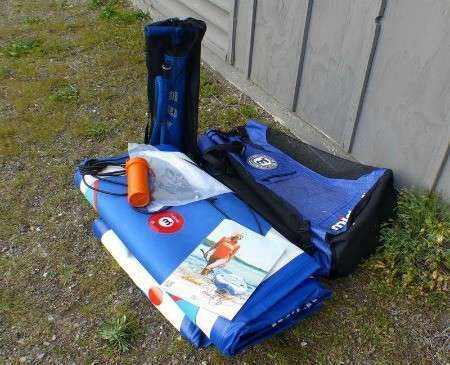 Before you can get started on the SUP inflate process, you should inspect the owner?s manual that came with your SUP and then ensure you have all of the parts listed. Have a quick read through the instructions in case they differ slightly, and follow them carefully if there is anything you don?t see here. Lay all of the necessary parts out into a clear area free from sharp objects so that you don?t risk puncturing anything. Separate the accessories from the board and get your pump out, ready to get to work. Begin with the paddle, connecting all of the necessary parts to join it together to the SUP air pump. If there are other parts in the box that require inflation, do these one at a time. 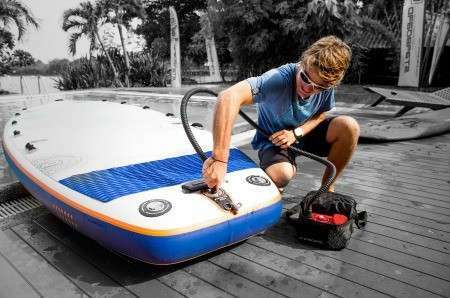 Check to see they have been inflated to 12 Psi before moving onto the board with your stand up paddle board pump. Check the board to find where the connection is for the pump to insert into. Connect the pump directly to this hole and ensure that it has clicked into place so that no air can come out. Using, the pump with your hand, perform fast but deep pumps so that you?re getting adequate air into the device. 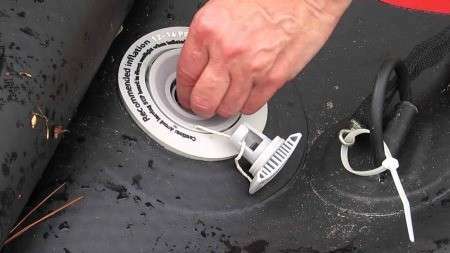 Once done, remove the pump and put the cap or lid back on so that no air escape. Once the board is completely blown up, you can now attach the fins. These can be easily slid into place, but you should ensure that they are firmly secured by using a locking pin. Depending on the style of board, there may be different mechanisms that keep these into place so you can adjust them accordingly. When the day is through and you?re ready to take your i? ?nflatable SUP home, you can begin the deflation process. Deflate inflatables such as paddles first, working in the same order as when you set them up. 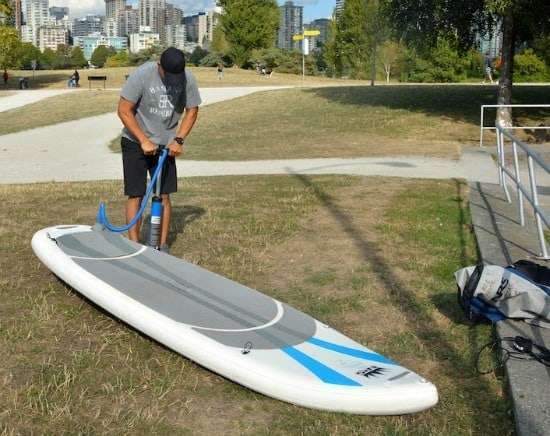 To deflate the stand up paddle board, simply remove the cap that connected to your hose. As the air starts to come out, begin at the bottom of the board and slowly roll it up to help deflate it. Once complete, pack the board and all accessories into the box and check that all parts are accounted for.